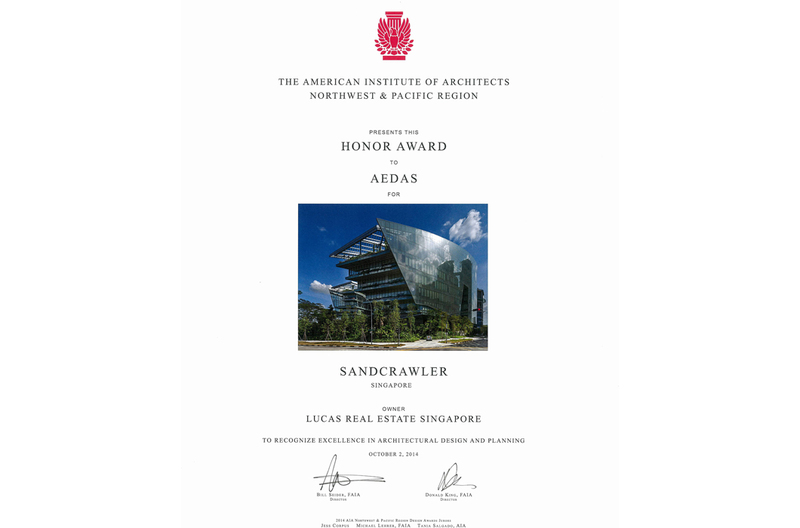 Sandcrawler, the new regional headquarters for Lucasfilm Singapore owned by Lucas Real Estate Singapore and designed by Andrew Bromberg of Aedas, was one of the three projects, out of 115 submissions, that received an Honor Award in the 2014 American Institute of Architects (AIA) Northwest and Pacific Region (NWPR) Design Awards. 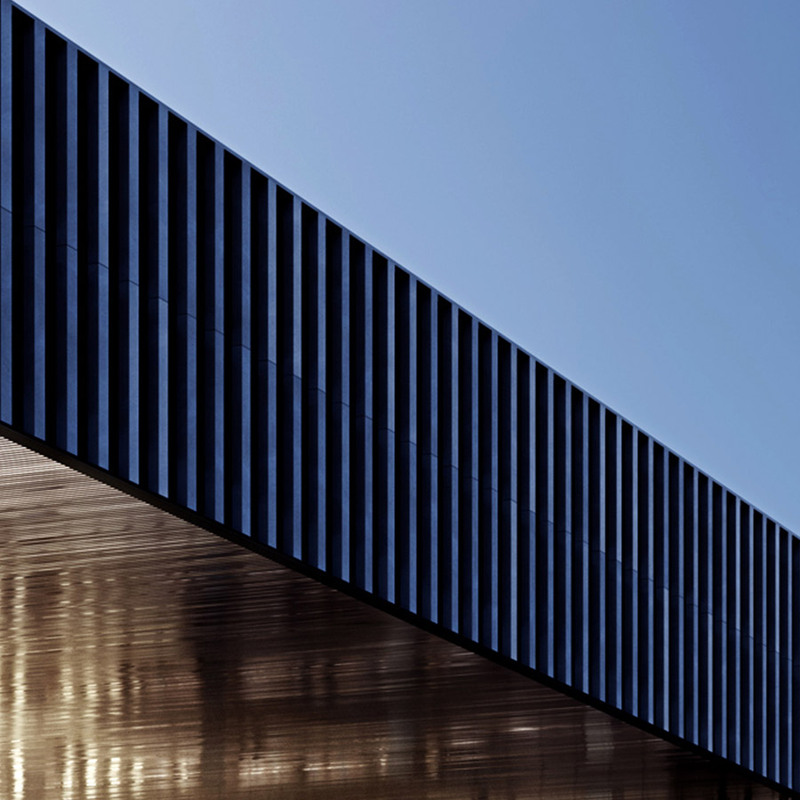 The jury liked the confidence of the project: single, bold, exuberant but executed with control, and described it as ‘a powerful parti with lots of architectural pyrotechnics’. Located on plot CX2-1, this sleek, elevated office building is impressively streamlined. 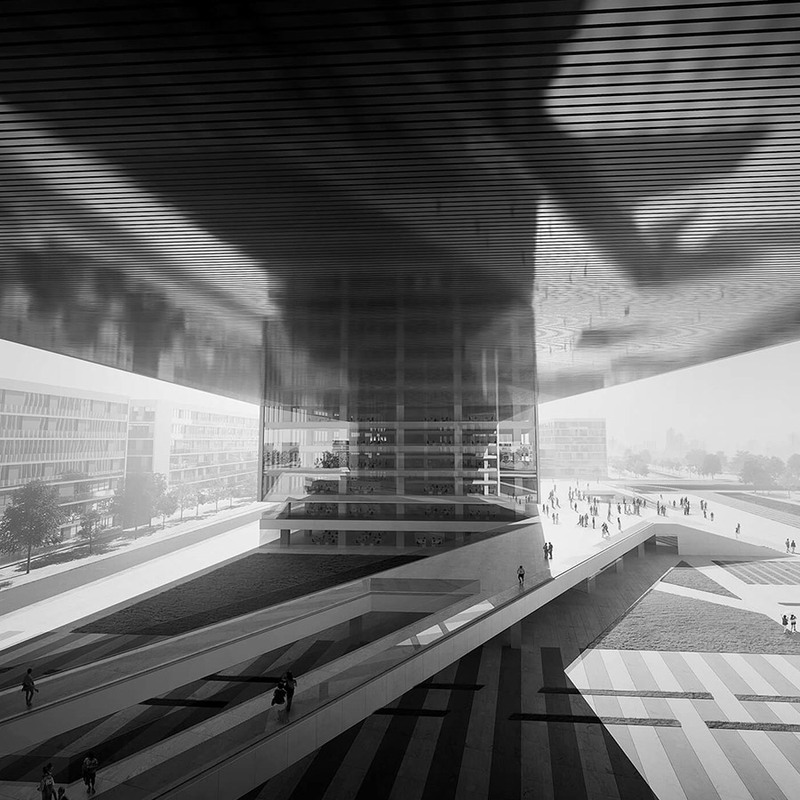 Its horseshoe form arose as a logical outcome of the masterplanning restrictions which dictated the roof height and slope as well as the amount of required elevation on each face. These requirements were overlaid with client’s needs, including large floorplates and lifting the building off of the ground to afford some privacy and security to the sensitive work being performed inside. The maximum depths of office space to natural light shaped the floors into a ‘V’ plan overlooking the lush courtyard enclosed and below. The open courtyard landscaped in a natural, overgrown manner creates a great civic space and gives a strong civic dimension not normally associated with corporate offices. The building also serves as the headquarters of The Walt Disney Company (Southeast Asia) and ESPN Asia Pacific. The 2014 AIA NWPR Design Awards celebrates the best architectural designs available from AIA members in the Northwest and Pacific Region. These projects represent the finest standards in sustainability, innovation, building performance, and overall integration with client and surrounding community.